I’m still working on my low iron issue (see this post) I think, and after doing more research, I may have figured out some of the problem. I love my seeds and nuts (nut butters, nut-based paleo treats, etc.) probably a little too much. I know I shouldn’t eat them in large quantities because, well, they are quite calorie dense, yet I can’t seem to help myself. They are just so satisfying! But, I realized I need to pay more attention to the quantity I eat because they contain something called phytic acid. 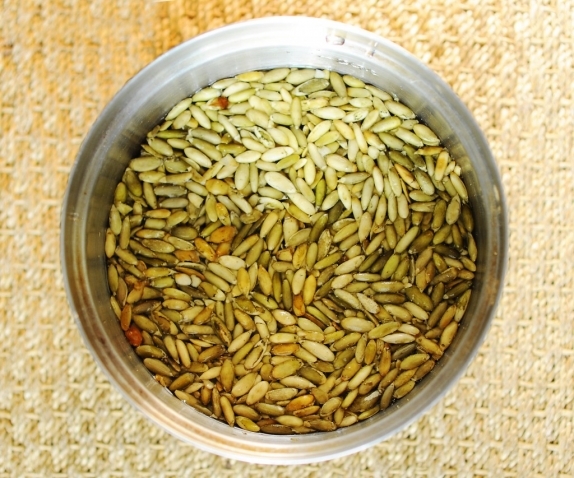 I had heard about phytic acid for years, and that we should soak seeds and nuts to reduce the level of phytic acid, but thought, I just don’t have time to do one extra thing. I guess I didn’t really understand the effects of phytic acid. According to Chris Kresser, an renown Integrative Medicine Practitioner, “Phytic acid strongly inhibits mineral absorption in adults – especially iron and zinc”. AH-HA!….wait…shoooot! That could explain a lot!! Kresser has a great detailed article on here on phytic acid and nuts/seeds. Fortunately, the phytic acid can be reduced or nullified by soaking your nuts or seeds. Click here to read what Mark Sisson, author of Primal Blueprint and his fabulous Mark’s Daily Apply blog, had to say on the subject. Okay, so after learning about phytic acid, I had to try soaking some nuts/seeds and it turns out, it’s ridiculously easy to do! 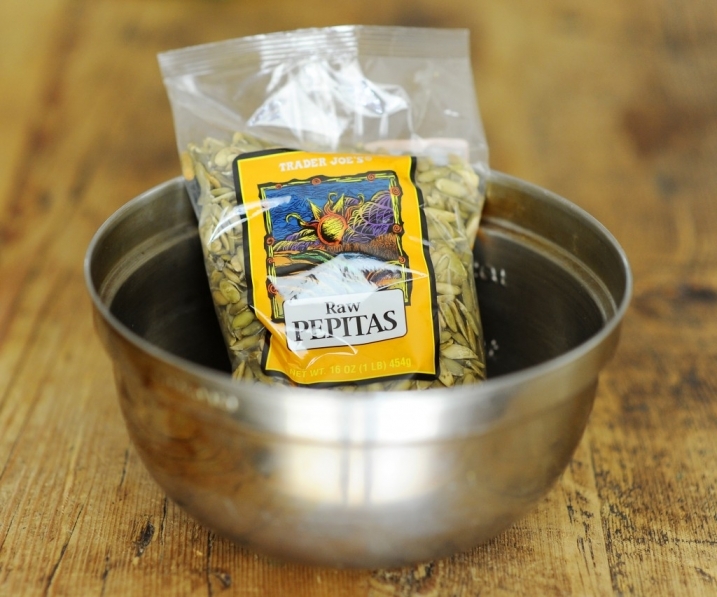 Begin by dissolving some salt in warm water in a medium size bowl. Then, pour your raw nuts or seeds in the bowl (I’ll use the whole bag) with enough water to cover. Then set them aside for least 6 hours. I will typically start the process at night or earlier in the day and then let them sit overnight and begin roasting them the next morning. 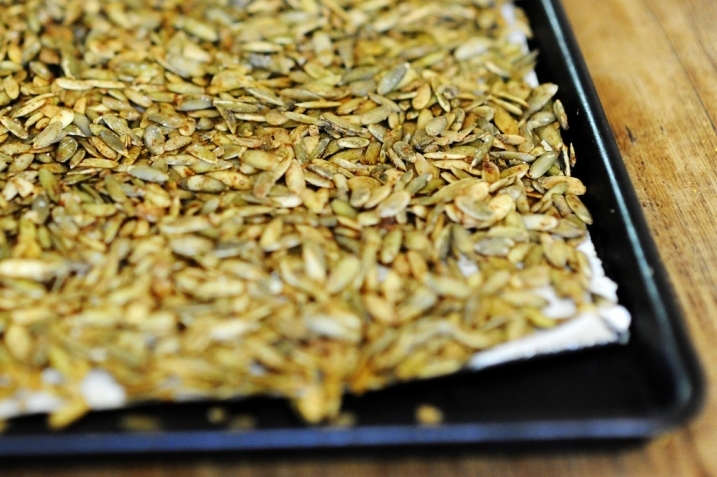 Next, add your salt (or any other spices) and spread out seeds on cookie sheet that is covered with parchment paper. Place in a warm oven (no warmer than 170 degrees) for 4-5 hours, turning occasionally, until thoroughly dry and crisp. Really make sure they are all the way dry! If not, they could mold and won’t have that crispy wonderful texture. I think soaking and roasting nuts/seeds actually enhances the flavor. So aside from it being better for us, it also makes them taste even better! 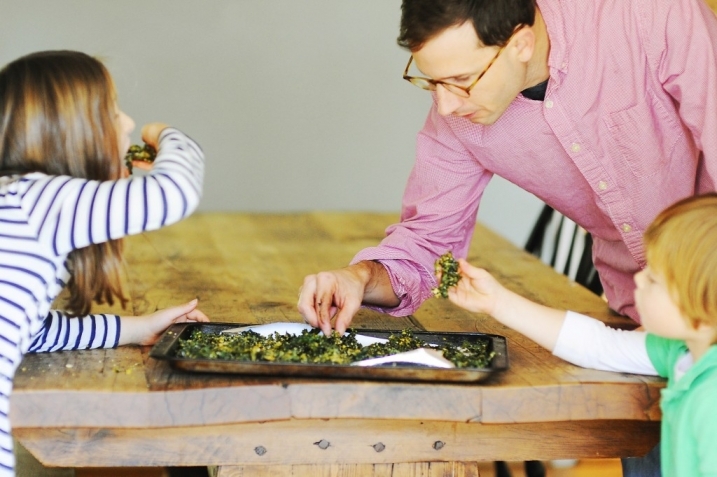 Oh and while my stove is on that long anyway, I figured I might as well throw something else in to cook slowly, so of course I cooked our family favorite kale chips. I just did my regular with kale, about 2 or so tbsp EVOO or coconut oil, some salt, ground cashews (soaked of course! ), and plenty of nutritional yeast. 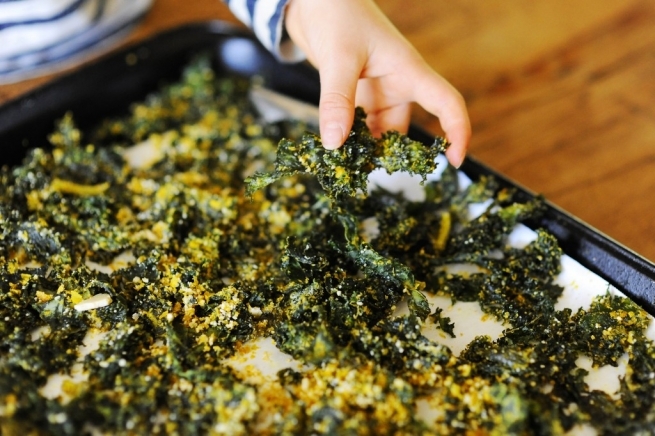 The kids said these were “your best kale chips mom!!”. They are so yummy, crispy and yet still thick (sometimes cooking them on high will thin the chip out a little) AND they have even more nutrients because they were cooked on low. Ideally, dehydrating seeds, nuts, and veggies would be great, but, when you don’t have one (hint, hint to my lovely husband! ), an oven on low will have do! Besides the squash chips, this is her favorite snacks! It’s mine too!! Karen P - I struggle with nuts. I have to stick to unsalted nuts only. I kicked nut butters to the curb when I went into weight maintnence ( 70 + pounds for almost one year ).